Are you tired of heaving hoses and pipes around your garden or lawn to keep grass, flowers and shrubs green? To make your life easier and save time and resources, irrigation systems are your best bet. Landscapes and gardens can be big or small. Using little irrigation appliances for huge landscapes can prove non-feasible while installing tremendous irrigation systems for little areas is not economical either. 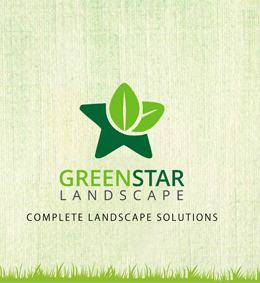 Thus, at Greenstar, you receive the best advice from our experts in terms of the special needs of your landscape and which irrigation system can sustain it best, from pumps to sprinklers. Landscape irrigation systems provided by Greenstar Landscape can bring substantial savings in water usage, making you richer and wiser. Saving water, time and money are the added benefits you receive other than that of having a perfectly watered and green landscape, where you can relax, enjoy and party without having to work hard to maintain it.